Bitter Winter has previously reported that the old CCP narrative distinguishing between “bad” Uyghur and Kazakh Muslims in Xinjiang and “good” Hui Muslims in other parts of China is slowly being abandoned. Now, all Muslims are suspicious and should be tightly controlled. On January 6, 2019, a strange article was published by the government newspaper Global Times. It announced that a new regulation on Islam “was passed in December 2017.” Its content, the newspaper said, “will soon be released to the public after further revisions, and has already been distributed to local Islamic associations.” On the other hand, the article explained that the law includes a “five-year (2018–22) outline on the sinicization of Islam.” Like the Soviets of old, the CCP takes its five-year plans very seriously. A five-year plan 2018–2022 should have started in 2018. And in fact, according to the article, it did. This means that a secret law, still subject to “further revisions,” is in fact already been enforced: from 2018, although this was not publicly acknowledged until 2019. The bizarre process looks less surprising when we consider that the same happened with the new Regulation on Religious Affairs. It was passed in 2017 and theoretically came into force on February 1, 2018. Yet, its main provisions were enforced even before. As far as we can understand, this law does not apply to the “autonomous” region of Xinjiang but to the rest of China, meaning it targets primarily the Hui and other Muslim minorities once considered loyal to the CCP and inoffensive. On the other hand, some of the policies tested in Xinjiang against the Uyghurs are now being exported to other areas of China. 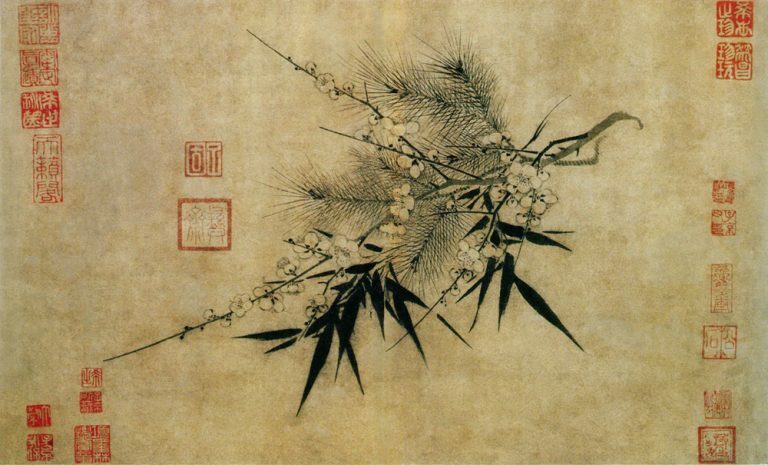 What the content of the law is, cannot be ascertained for the time being. But, since it is being enforced, although without disclosing its text, educated guesses can be made about some of its provisions. 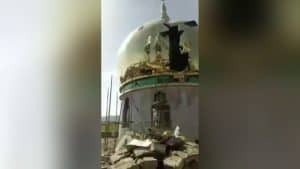 Mosques are being stripped of their crescents and domes. Bitter Winter has documented in February how this is happening, publishing several exclusive photographs. 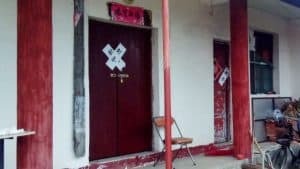 Traditional Arabic-style mosque doors are being replaced by doors in Chinese style, and red Chinese flags and huge billboards with CCP slogans are replacing the crescents and other Islamic architectural elements. It is also reported that “religious schools and Arabic classes have been banned and children barred from participating in Muslim activities.” This is coherent with the new Regulation on Religious Affairs. 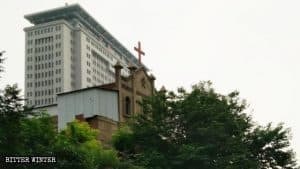 Places of worship that allow minors to enter their premises or offer religious education are being closed and demolished all over China, be they Christian churches or Buddhist temples. There is no reason to believe mosques will be exempted, and the new law may well emphasize just that. 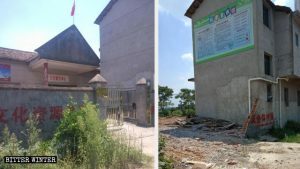 In Yunnan, three mosques were closed in late 2018 claiming that “illegal religious education” was going on there. Deutsche Welle, Germany’s public radio, interviewed David Stroup, a professor at University of Oklahoma, who said that “the government may try to assert more direct control over the practice of faith, especially over the clerics’ weekly sermons.” This is also consistent with what is happening in Christian churches, where technological devices allowing the police to hear and control all sermons are being installed. 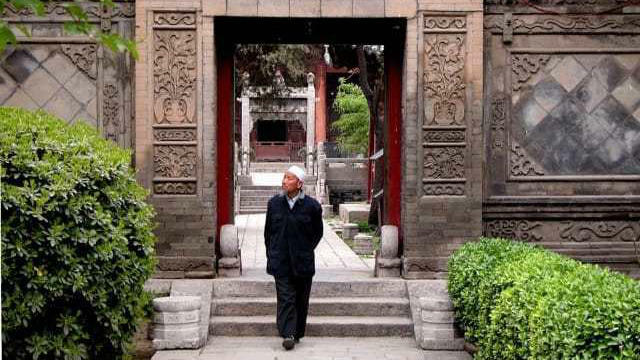 Others believe the new law may imply a crackdown on Muslim “individuals caught praying, fasting, growing a beard or wearing a hijab, a headscarf worn by Muslim women.” Regulations against “extremism” in Xinjiang would thus be extended to Muslims living elsewhere. The same is happening in China with respect to all religions. 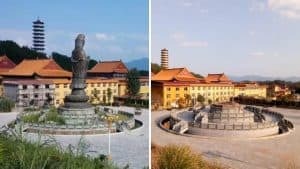 Bitter Winter has learned that a parallel sinicization law is now targeting Buddhism. Its details are also secret.